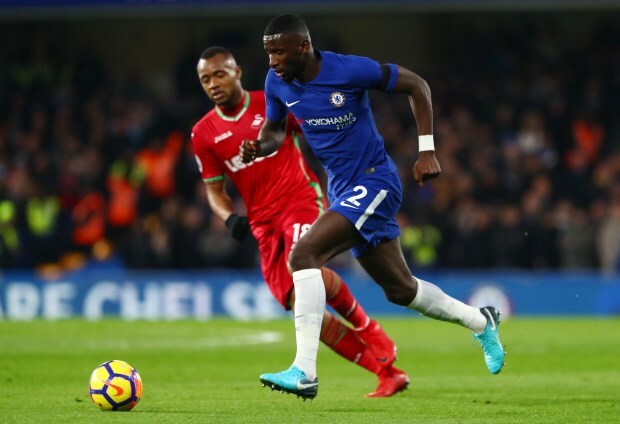 Chelsea legend Tommy Langley believes if Antonio Rudiger is the Blues captain he has to be more aggressive in his approach, starting with Manchester City on Saturday. Maurizio Sarri’s side lost for the second time in three Premier League games when they were beaten 2-1 by Wolves at Molineux on Wednesday evening. Chelsea have suffered from indifferent form in recent weeks after an incredible start to the season under Sarri and they face a tough ask to return to winning ways at the weekend as Manchester City arrive at Stamford Bridge. Langley feels the team will be up for the clash, but need leaders. The Chelsea legend wants players to step up, especially Rudiger, and says they need to unsettle the Manchester City attack with an aggressive approach. “The boys will be up for the weekend, but Sarri's got to rally the troops”, Langley said on ChelseaTV. “We need leaders. This is going to be a big test for us at the weekend and we need people to step up to the mark and lead from the front. “If it's [Cesar] Azpilicueta being captain, it's got to happen. "If it's Rudiger, he's got to start smashing a few people and getting tight to people." Chelsea and Manchester City faced off in the FA Community Shield game in August, a game the Sky Blues comfortably won 2-0. The west London side are further into the Sarri project now and will hope to bounce back against the league leaders come Saturday.